Dose/Strength (ex. 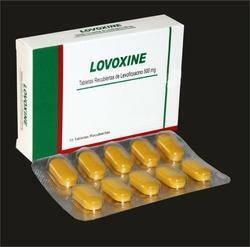 1 mg or 1 ml): 500 mg.
Levofloxacinis advance quinolone which is used for treating infections caused by certain bacteria. It is also used to prevent or treat anthrax or plague in certain patients. It works by killing sensitive bacteria. It has better efficacy and safety profile compare to Ofloxacin and Ciprofloxacin. 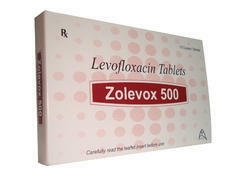 We Offer Levofloxacin Tablet 500mg in Blister packing.